Determined by nature, Tanay did not allow himself to be discouraged by his inefficiency in French, but instead rose to this challenge by seeking part time work outside of class. This experience not only allowed him to enhance his ability to communicate in French, but also to gain financial independence. It also helped him to make local friends who introduced him to the local culture and region Tanay strongly believes that his year long experience enriched his academic as well as personal life and it aided him to develop critical life skills. The MSc ISE program gave him the knowledge and qualifications to launch his career and upon completing the program Tanay received internship offers from various start-ups in Berlin and Paris. He was, however, still set on following his own creative dreams and aspirations. With a successful business model, he managed to convince Berlin’s investors to fund his project. On seeing his dream materialize, he returned to India to work in the field for his final management project: Techno-economic feasibility of waste tire recycling using pyrolysis method. Currently Tanay Jadhav is working on his own start-up portal: STARTUPJOBINDIA which recruits individuals for start-up position jobs all over India. The know-how gained from his Masters course, particularly in the fields of the Entrepreneurship, Business Opportunity and Digital marketing helped Tanay to accelerate his start-up’s growth and extend its reach. In parallel Tanay is also managing and expanding his diversified family business, by bringing in a new business and strategic perspective. He currently holds the role of Director of the Ajanta Business Group. He strongly believes that being an entrepreneur is not limited to starting a new business, but also applies to rethinking, reinventing and expanding an existing business. 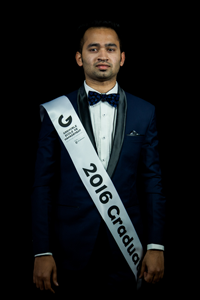 With his career now firmly launched, Tanay is convinced that he made the right move by choosing to study at GGSB.